This column was originally published via The Detroit News. I was visiting a local school district, meeting with some of their student PTSA members. While there, I had the opportunity to meet the administrative team — principal, assistant principals, office staff. They were amazed that the president of Michigan Parent Teacher Association (PTA) — a statewide association — was there to visit. They felt compelled to discuss how valuable the PTSA was to their school, to the community (as if I had some say over whether or not they existed). The administrators spoke of the dedication of the PTA leaders, how they don’t know what they would do without their help. How they helped with things that the school leaders needed but didn’t know how they would accomplish. I told them that was the message they need to spread among other administrators. I mentioned that often school officials get intimidated by parents coming into the schools. That they ‘say’ they want parents involved, but sometimes, when they hear “PTA” especially, they draw back support. As if informed, aware parents weren’t what every school — especially those in Michigan — need. I reminded them that parents are the ‘real’ bosses because it’s our tax dollars that fund these schools and without that branch, that aspect of involvement from parents, that none of this is going to work. So, is parental involvement necessary for Michigan to improve in student achievement? Is parental involvement necessary for Michigan to become a Top 10 in 10 in education? Yes. If parents aren’t active stakeholders in the educational process, we can’t succeed. PTA has known and operated on this premise for 121 years; 100 years now in Michigan. That’s why the National Standards for Family-School Partnerships are key to the transformation we seek as a state. There are six aspects of this partnership that strengthen the school community as they are established: welcoming all families, effective communication, supporting student success, speaking up for every child, sharing power, and collaborating with the community. Every family is important and adds to the culture of the school. Effective communication allows free transfer of information between families and teachers for the benefit of the students. As communication increases, so does collaboration. Advocacy is part of speaking up for every child — once we all realize how intertwined our lives are, we will begin to make changes that are driven by the quest for student success. This should pull us out of our corners to agree that every child deserves a quality education — regardless of ZIP code. Sharing power is another aspect of coming together to foster nurturing environments that support quality schools and educational programs. Strong collaboration with the community means schools are not looked at as separate entities, but necessary to the state’s success. All these factors support student success, the supposed goal. For Michigan to become a leading education state, the citizens of the state must push for reform that is not tied to partisan efforts, but truly focused on every child. 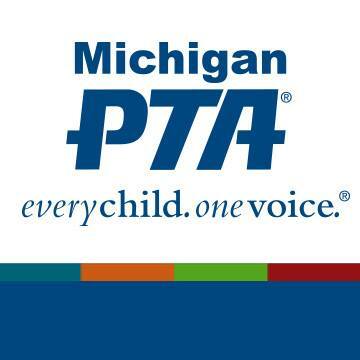 For 100 years, the Michigan PTA has worked to ensure that every child’s possibility becomes their reality. We must restore the core of our educational structures and values so every child in Michigan will be guaranteed quality education. Sibyl Wilson is president of the Michigan Parent Teacher Association.